I’m sure we’re all busy this Friday, so here are three VA-related news items. In the interest of brevity (despite my lawyer status), they’re all 100 words or less! Firms VetBiz-Verified March 21st and Beyond Get THREE Years! If you’re waiting for approval of your VetBiz application, you should hope that the VA holds off for a few days. Any business that becomes verified or re-verified March 21 and beyond will be verified for a period of three years, not two. It’s worth asking whether this change is a quick fix to appease veteran business owners who are frustrated at more substantive problems: the CVE’s requesting of invasive, irrelevant documents, 0877 headaches, long delays, and abrasive examiners (There are pleasant ones, too). These issues that have been called to the CVE’s attention many times, but no changes have been effected. VA Institutes New Pre-Need Burial Program. A new VA program allows veterans, spouses and unmarried dependent adult children to prepare for burial in a VA national cemetery prior to the time of need. Interested individuals may submit VA Form 40-10007 Application for Pre-Need Determination of Eligibility for Burial in a VA National Cemetery, along with a copy of supporting documentation of military service such as a DD214, if readily available, by: toll-free fax at 1-855-840-8299; email to Eligibility.PreNeed@va.gov; or mail to the National Cemetery Scheduling Office, P.O. Box 510543, St. Louis, MO 63151. VETS 17 Is In Three Months! The National Veteran Small Business Coalition (NVSBC) is an extremely constructive, professional, and well-organized veteran business advocacy group that has done much to protect veterans’ interests in the federal contract arena. The NVSBC’s annual conference is set for June 12-14 in Norfolk, Virginia. Attendees will network with prospective teaming partners and procurement officials, attend training sessions (I’m presenting on VetBiz), and learn about navigating government contracts. Especially valuable for start-ups and businesses newer to the federal contracting arena, early bird registration ends March 31. Learn more here. That’s it! Happy weekend to all! *Did you find this article informative? If so, sign up for Sarah Schauerte’s blog on veteran issues at: http://www.legalmeetspractical.com. The three-year term is welcome. Unfortunately for me it is in effect two weeks too late. Just completed our third re-verification. It was two years in name only. If you start the re-verification too early you lose up to three months. I timed this last one so I only lost two weeks. It is an intrusive process that should be repeated only at the longest intervals possible. That’s always the struggle for me – timing it right. I tell clients to give themselves plenty of time (attorneys are constantly worried about deadlines! ), but I also don’t want them to start too early and cut off months from their verification period. It used to be that I advised to do it 90 days out and never had anyone expire, but with the delays lately that’s no longer true. I also understand they’re now letting you apply six months before you expire, which is a bit ridiculous considering that’s 25% of your total verified time. Always informative information Sarah – thanks! Regarding the three year certification. If we are due for renewal in December of 2017 – does that mean that we now are set for renewal in December of 2018? Or do we need to submit in 2017 for the three years? Also, huge Calvin and Hobbs Fan! Now it does – the rule itself was unclear, but recent guidance from the VA relays that EVERYONE gets another year! More on that on my blog posting today. 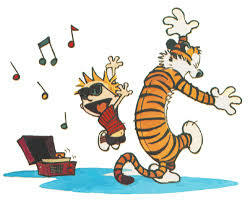 . .
And yes, everyone should appreciate Calvin and Hobbes. (We saved two kitties that were dumped by the side of the road and named them Calvin and Hobbes, actually). I may have whined too soon. I got our re-verification letter on March 7, 2017 stating it was good for two years and I checked Vetbiz pages and found it listed 3/7/19 as an expiration date. Checking the other day after the three-year interpretation became effective it was changed to 3/7/20. So YAY.